We have several new and returning players registered for the 2018-2019 Roller Hockey season. We are off to a great start! There is still time to register for this season. Get your Extended Coverage AAU membership and then sign up here. 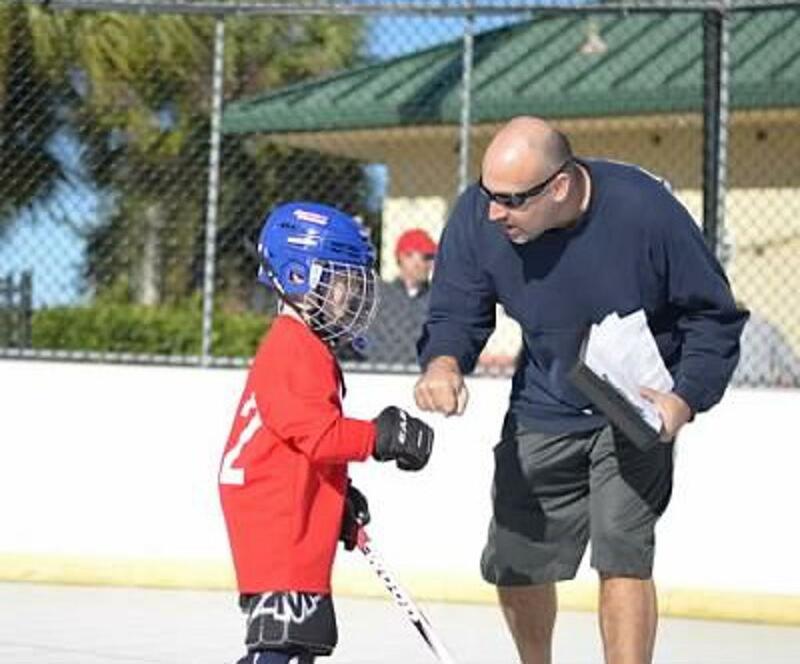 Please consider volunteering as a coach or an assistant coach for the 2018-2019 JTAA Roller Hockey season. Help will be needed at all age levels. We will also be looking for concession volunteers and committee members as well! Volunteer registration can be found HERE. JTAA Roller Hockey is 100% a volunteer organization. Volunteering is a great way to give back to the community and a lot of fun! Note: Volunteer registration and training is provided to you by the league at no cost when 'JTAA' is selected as the NYSCA Chapter. Benefits of Roller Hockey - Get in the Game! JTAA Roller Hockey is a recreational League for boys and girls designed to introduce inline skating and the sport of Roller Hockey. Roller Hockey is a non-contact, 4-on-4, exciting, fun and fast-paced team game. Age divisions range from 4 to 16 years old with skill levels from beginners (non-skaters) to experienced. 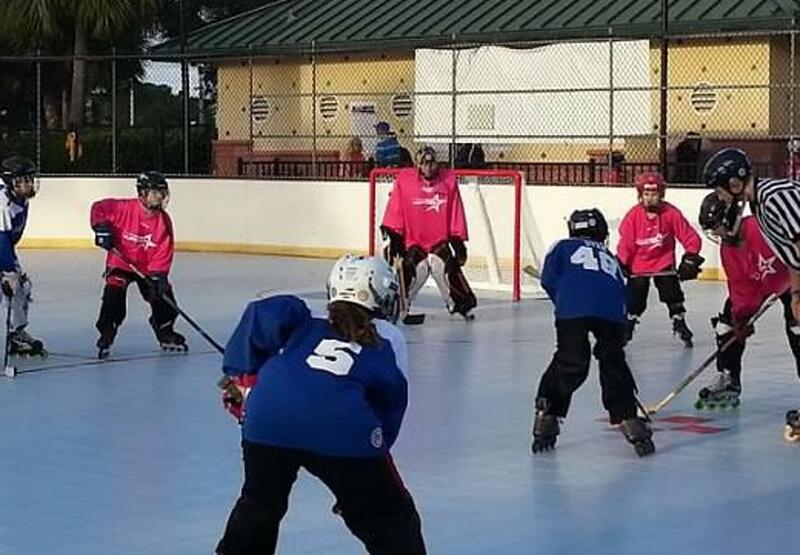 The Jupiter Stars Roller Hockey league is designed for maximum fun and learning. Games and practices are held at the 2 world-class rinks located next to the Jupiter Skate Park on Frederick Small Road in Abacoa. With an emphasis on “team” concepts, we ensure that ALL players get playing time, regardless of skill level. Roller Hockey improves the development of balance, hand-eye coordination and teamwork, which are all great skills for other sports, too. 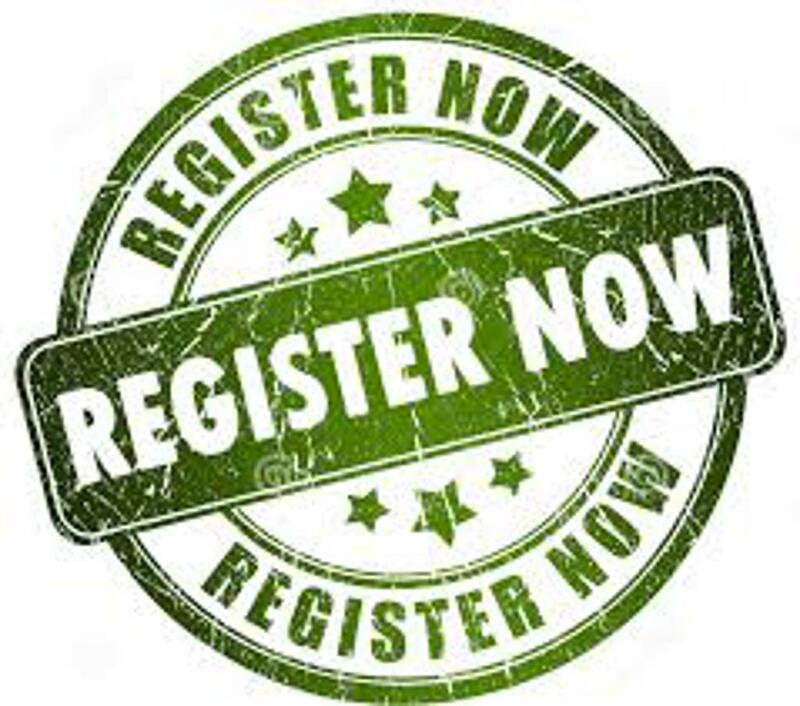 Registration for the 2018-2019 Roller Hockey season opened September 15th. The league is open to all levels of experience. Season starts: Week of November 5th. All new and returning players will participate in player evaluations during the first week of the season. Teams are provided with Goalie equipment and players are provided with game jerseys. A full list of required equipment can be found here. Teams will be selected and assigned to coaches during the first week of the season. Each team will have 2 scheduled meetings per week. Practice will be optional during Thanksgiving Week and the season will be off for Winter Break. Players will be allowed to skate when the park is open during these breaks. All players will need a current AAU Hockey Membership to participate in JTAA Roller Hockey. Please purchase your Extended Coverage AAU Player Membership before registering. Cost is $125 per player (U-8 through U-12) $100 per player (U-6 Little Champs and U-17 High School), $15 sibling discount. All players will need a current AAU Hockey Membership to participate in JTAA Roller Hockey. Please purchase your Extended Coverage AAU Player Membership before registering.